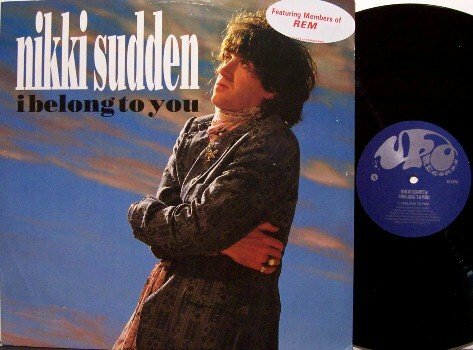 1991 release from the late great Nikki Sudden. Produced by Peter Buck. Features Buck, Mike Mills, and Bill Berry from REM and also Brian Burke. Three tracks include I BELONG TO YOU, ALLEY OF THE STREET, and JIGSAW BLUES. UK pressing. All LPs come packaged carefully in a sturdy corrugated box made specifically for mailing LPs plus a cardboard insert. The vinyl is removed from the cover (except for SEALED items) for shipping to prevent seam splitting during shipment.